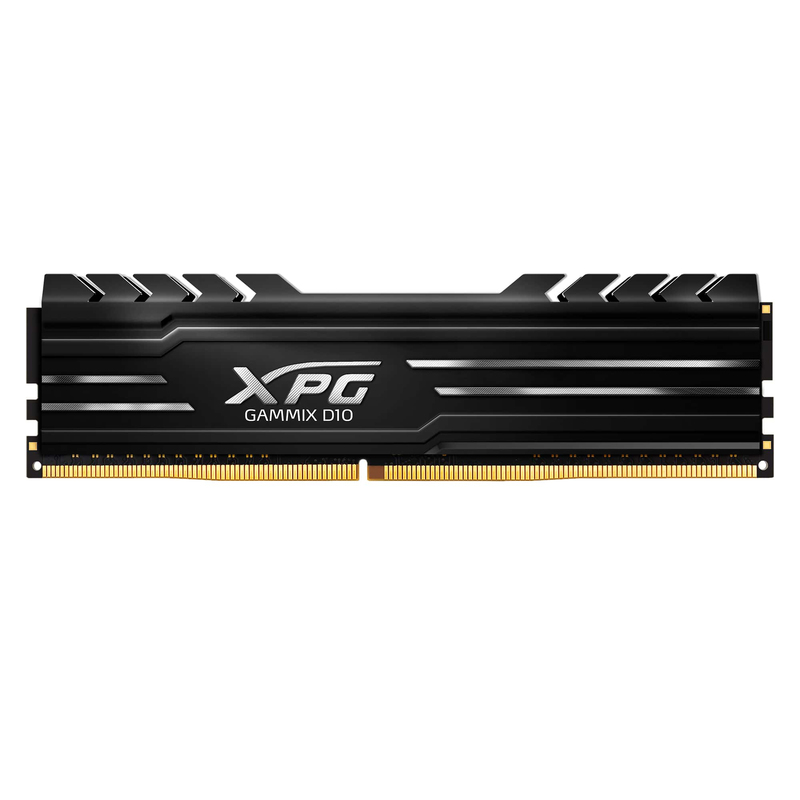 XPG GAMMIX D10 DDR4 memory modules are designed for gamers and PC enthusiasts with support for new Intel X299 plus SPD 2666MHz implementation, with factory speeds up to 3000MHz out the box. With 10-layer PCBs, D10 improves signal transfer quality and maintains stable operation at all times. It also supports Intel XMP 2.0 for quicker and safer overclocking. Available in black and red, D10 has an eye-catching serrated heatsink with an open top and 2oz of copper for excellent cooling performance through rapid heat removal. In addition, its low height allows easy installation even in systems with limited space. Like all ADATA memory modules, GAMMIX D10 comes with a lifetime warranty backed by excellent service for maximum peace of mind. GAMMIX D10 supports the new Intel X299 platform and implements SPD 2666MHz. Operating voltage is 1.2V compared to 1.5V on older DDR3, which is a 20% reduction in power draw. This keeps systems cooler, more stable, and more energy efficient. GAMMIX D10 overclocks superbly at just 1.35V, achieving much higher clock frequencies than DDR3 to easily reach 3000MHz from the factory - with more potential available to dedicated overclockers. For PC enthusiasts and gamers, good system stability really matters, so GAMMIX D10 features 10-layer PCBs and 2oz copper to improve signal transfer quality and maintain great stability even if the system operates at high speeds or is taking on heavy multitasking.